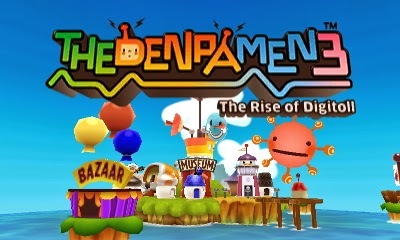 Tokyo, Japan – March 6, 2014 - Today, Genius Sonority, publisher of interactive software, is proud to announce the downloadable title, THE 'DENPA' MEN 3: THE RISE OF DIGITOLL, for the Nintendo 3DS platform for release in the summer of 2014. DemoA demo for THE 'DENPA' MEN 3 will be available in May. In addition to giving players a sneak peek of the game, it will allow them to transfer their progress to the full version upon release. Note that the demo version can only be booted up thirty times.